Russian Space Forces Commander Lieutenant General Oleg Ostapenko said today (Friday, January 25) that launch of the first GLONASS-K launch satellite has been rescheduled for Saturday, February 26, at 6:07 a.m. Moscow time. 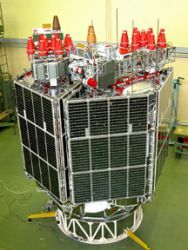 According to Ostapenko, the glitch which prevented the launch yesterday (February 24) is now resolved and that the State Board at the Plesetsk space facility had approved launch of the Soyuz-2.1b rocket. Prelaunch operations are currently under way at the cosmodrome located about 800 kilometers (496 miles) north of Moscow in line with the new schedule, according to the Russian Federal Space Agency (Roscosmos) Public Affairs Office. 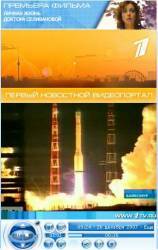 The launch will be the 4th for Soyuz-2.1b, a modified version of the Russian launcher designed and produced by the Progress State Research and Production Space Center (also known as TsSKB-Progress), a "Federal State Unitary Enterprise" under the jurisdiction of Roscosmos and based in Samara, Russia.